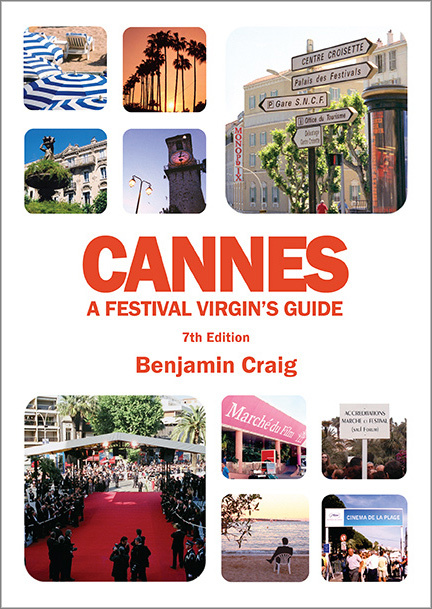 The number of festivals and conventions taking place in Cannes each year sadly attracts some opportunistic crooks who seek to profit from unwary visitors. Scams come in various forms, but the central theme is to try and get you to pay for accommodation which either doesn't exist or is not controlled by the scammer. It starts with the patsy visiting a professionally-designed website or receiving a well-written email offering rental apartments for what seems like a reasonable price. The booking process is smooth and painless, requiring payment of either a deposit or a full advance. A nice reassuring confirmation is then received via email. Safe in the knowledge they're all set, the mark shows up in Cannes... only to find that the apartment is non-existent or is occupied by someone else. And the booking service you used suddenly stops responding to emails or phone calls. Fortunately, scams are still reasonably rare, but you should remain vigilant none-the-less. To protect yourself, book through reputable agents, especially members of the Cannes Rentals Certification scheme. There are of course many other honest booking services and property owners out there, so with a little caution and common sense, you should be fine. Accommodation of all types is in massive demand during the film festival. Prices will reflect this. Any apartment or hotel within 15 minutes' walk of the Palais should always feel expensive for what it is. If you find yourself thinking the price sounds reasonable, approach with a healthy scepticism. As mentioned, high demand means most hotels and apartments within the Ring are offered on a block-booking basis only. Be wary of any well-located property which offers bookings on a daily basis. It may still be legit, but this is rare enough to warrant approaching with caution. Insist on seeing photos of the actual property before booking. These should look like they've been taken by a normal person, not a professional photographer. Raise your guard where the photos feel like they could have come from a furniture catalogue or lifestyle magazine. Stock photography can easily be used to hoodwink potential victims. And always insist on seeing one photo of the exterior of the building. Cannes has pretty good coverage in Google Street View, so it's simple to verify. Can they tell you what's nearby? Any decent owner or agent should know the area around their property. Ask them to recommend local shops or restaurants. Again, use Google Maps to verify - although it's worth remembering that Google isn't the source of all truth. How are they asking you to pay? It's common for property owners and agents to ask for payment in full upfront. Again, this is driven by it being a sellers' market. Where possible, pay by a means that can be traced. E.g. credit card, PayPal, TransferWise, etc. Never, never, never pay using services such as Western Union or in crypto-currencies like Bitcoin! No legitimate accommodation provider in Cannes will use these. Indeed, you should never use these services to pay anyone you don't know, for anything! Where are you sending payment? Not all property owners/agents will accept payment via card, PayPal, etc, so you may find yourself needing to make an international wire transfer. If you do, take note of the country where the recipient's bank is located. Obviously, France is fine, as are most countries in Western Europe (many European nationals own rental property in Cannes). It's not advisable to send money to banks located in Eastern Europe, and certainly not anywhere outside of Europe. The chances that your potential landlord is based in Nigeria are seriously remote. Are they an official partner? Do not rely on 'official partner' logos which appear in emails or on booking provider websites. They are easily copied. Companies can only be verified as official partners if they are listed on the Festival de Cannes or Marché du Film websites. Are they licensed in France? If you're super-diligent or your suspicions have been raised, you can always ask to see the official documentation for the company in question. In France, all property rental agencies must hold a professional license, a bank guarantee, and civil liability insurance. This isn't applicable to private landlords, but any reputable booking agent should be willing (and indeed, is obliged) to provide these details on request. Did you receive an unsolicited email? Avoid any lodging provider who sends you unsolicited emails. While not necessarily scammers, they are certainly spammers. You can do your bit to discourage the practice by not responding (and marking them as spam). If response rates drop low enough, they might just give it up. This list is not exhaustive and new scammers appear from time to time. The old mantra, if it's too good to be true, it probably is, remains the best protection.